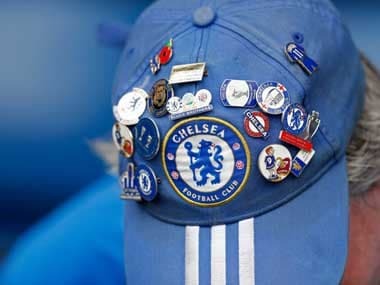 London: N'Golo Kante's sublime performance in Chelsea's 1-0 victory over Manchester United in Monday's FA Cup quarter-final prompted former England great Frank Lampard to dub him the best central midfielder in the world. 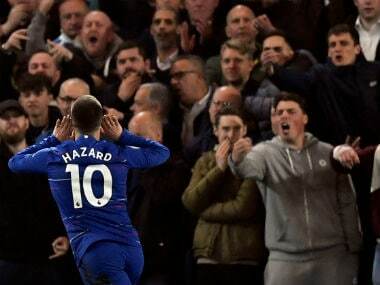 Kante -- whose superb goal ended United's hold on the trophy -- escaped his opponents roughhouse treatment of playmaker Eden Hazard and allowed the 25-year-old French international to dominate the encounter. 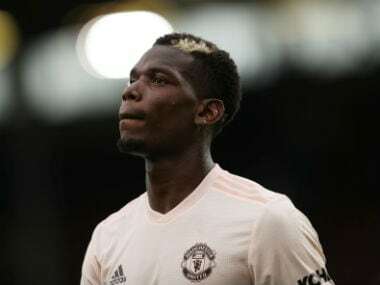 His performance left his French international team-mate and the world's most expensive footballer, United's Paul Pogba, chasing shadows and at the receiving end of more criticism. Kante, though, had former Chelsea midfield legend Lampard positively purring. "I'd go as far to say that he's (Kante) the best central midfield player in the world on current form, I really would," Lampard told the BBC. "Looking at the way he's performing this year, he may not be scoring lots of goals but what he's giving to the team in the way he's playing, the driving force that he is, I cannot see anyone else out there in world football better than him at the moment." Former England and Barcelona striker Gary Lineker tweeted if Kante became a more regular goalscorer then he would be the undisputed number one. "Bloody hell, if Kante starts scoring goals as well he'll become the best midfield player ever," tweeted Lineker. Former England captain Alan Shearer said for his money there would be no competition when it comes to handing out the two player of the year awards. "I think you're looking at the Football Writers' Player of the Year and the PFA Player of the Year," Shearer told the BBC. "We are not used to him scoring too many goals but he was absolutely superb, he was all over the park as usual. "When United did get the ball back he was straight at them and getting it for Chelsea." 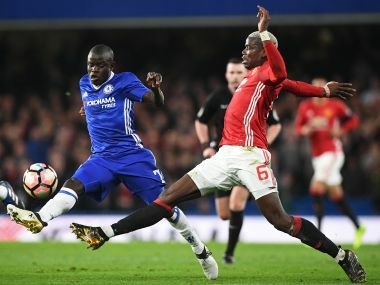 Kante, who has proved an unqualified success since Chelsea paid £30million to champions Leicester who have equally felt his loss keenly, outshone French international team-mate Pogba. The Times player ratings awarded Kante 9/10 while Pogba received just four. The paper opined of Kante: "buzzed around Pogba when United had the ball...." whilst for Pogba it labelled his performance as "Effectively stifled by Kante and failed to pick him up for the goal. Showed little incision and wasted his only good chance". Pogba, for whom the criticism of his performances have become stronger in recent games, has only been substituted in just one of his 38 appearances this term. 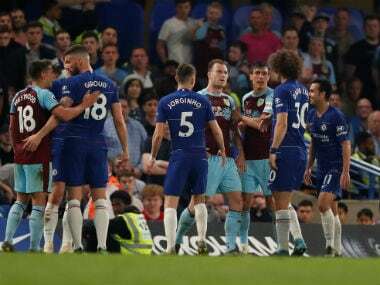 Perhaps the only person to disagree with the assessment of the performances of the two players was United manager Jose Mourinho. "The players were phenomenal but I would refer to one because he's the one that the specialists enjoy to go after," Mourinho told MUTV. "Probably because in that time they were not getting 10 percent of the money he was getting. "It probably comes from envy but I have to say, that for me Paul Pogba was by far the best player on the pitch.